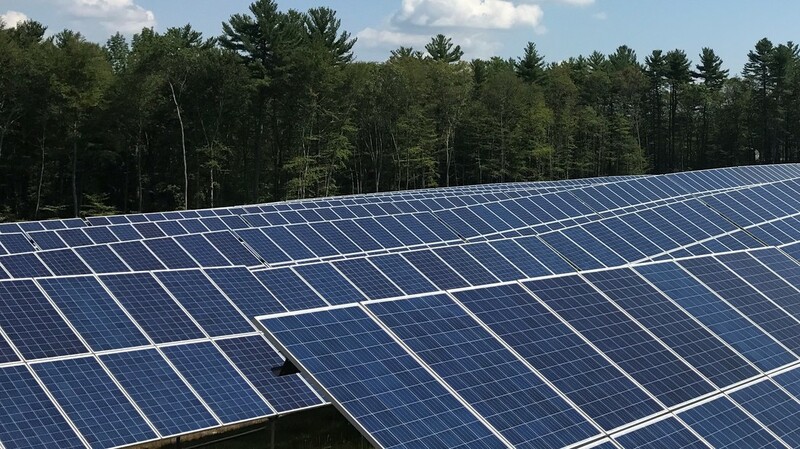 Webster Solar is a 1.05 MW community solar project located in Webster, MA near the town’s border with Connecticut. The project is comprised of 3276 Tier 1 solar panels installed on a ground-mount, screw-based racking system. Half of the production from the project goes to benefit an adjacent hospital operated by Harrington HealthCare, freeing up more dollars in the hospital’s budget to provide better patient care for the surrounding community. The remaining project production is shared among 35+ area electricity users through Nexamp’s Solarize My Bill community solar program. Most of these beneficiaries are local small businesses or non-profits who saw their participation in the program as an opportunity to reduce their electricity costs, while supporting the development of clean, renewable energy in their communities. Over the project’s lifetime, it will deliver more than $1 million in energy savings to area residents, businesses and non-profits. Our involvement with this solar project is, in many respects, a natural extension of our commitment to providing reliable services to Webster and the surrounding community. The monthly savings from Nexamp will result in a direct and meaningful benefit to the patients we serve and the system’s bottom line.